FOSAF’s Favoured Flies series of books now available from Loot. 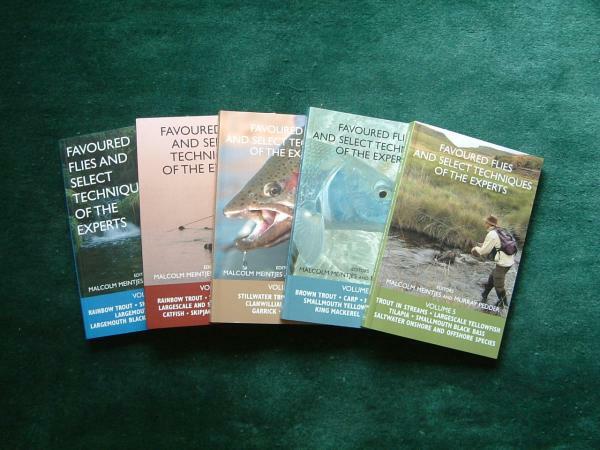 FOSAF NEWS - FOSAF’s Favoured Flies series of books now available from Loot. This series of books from volume 1 to 5 is edited by Malcolm Meintjes and Murray Pedder. They include contributions from an array of SA’s top flyfishers and are a must-have for both the novice and the accomplished flyfisher. This host of expert flyfishers describe not only how they tie their favoured flies but also the techniques they employ to catch fish, not only freshwater species such as trout, yellowfish, bass and tigerfish but also many saltwater fish such as shad, garrick, grunter and kob. These 5 volumes include nearly 500 flies to choose from. And, as expected, well-priced and easy to purchase from Loot.